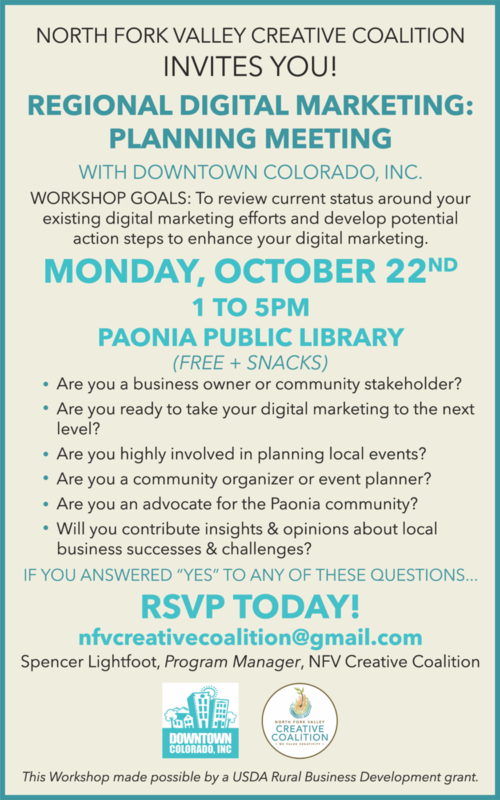 Join the NFVCC and Downtown Colorado, Inc. for a workshop on Digital Marketing. This meeting is free and we will provide drinks/snacks. The workshop focuses on your Digital Marketing efforts – what you’re doing, what you want to be doing, and what you can do better to promote your business online. Please RSVP to Spencer at nfvcreativecoalition@gmail.com. Workshop made possible by a USDA Rural Business Development grant.